Home / Education / Local news / ASUU suspends the strike, calls on lecturers to resume their work Friday. The Academic Staff Union of Universities suspended its three- month strike on Thursday following an agreement with the Federal Government. He warned, however, that "this is a suspension, not a call- off. If the government reneges on our memorandum of understanding, we will take another full- fledged industrial action." 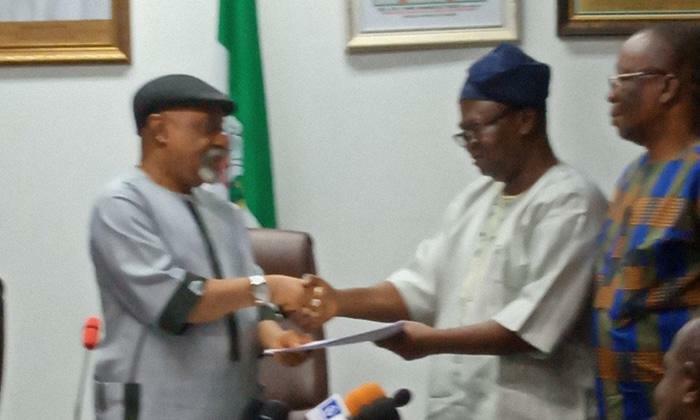 After two hours of meetings with Labor and Employment Minister Dr. Chris Ngige, the strike was stopped. After the meeting, Ngige said that the two parties discussed and agreed on eight areas of disagreement and expressed thanks to the ASUU leader for their understanding. The President of ASUU, Prof. Biodun Ogunyemi stated that on Friday 8 February 2019 the lecturers will resume.